A selection of the best / worse Christmas Jumper in the office. Money was collected for Save the Children. Martin Entwistle (Partner) receives a set of cuff links in a rather large box. The cuff links were gifted to Martin by Ian Bolton (partner) on behalf of all the James Sharp staff. James Sharp are proud sponsors of the Annual Irish Abroad Dinner Dance. The event took place on the 25th November at the prestigious Manchester Hilton. 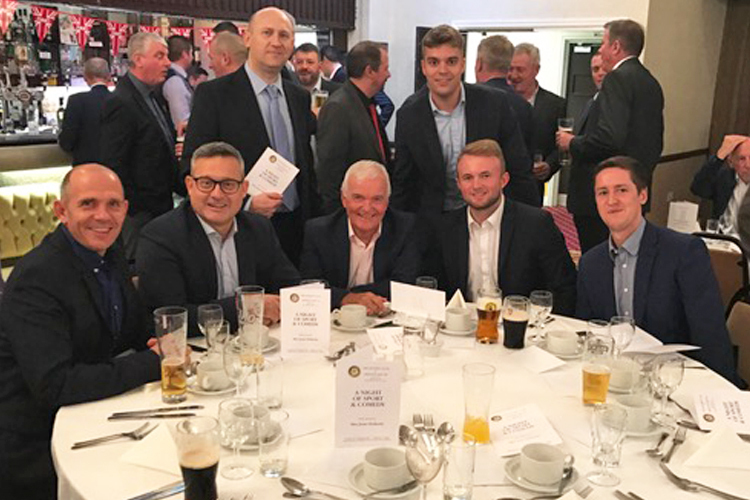 The team at James Sharp & Co had a fabulous evening supporting the local community at the Rotary Club of Preston Southâ€™s Sports and Comedy Evening on Tuesday night. 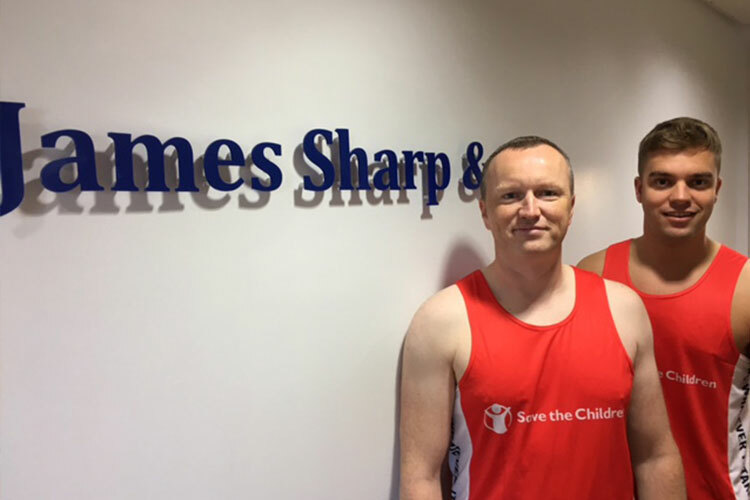 Investment Adviser Steve Ross and Trainee Stockbroker Adam Frankland succeeded in doubling their fundraising target as they joined the 10,000 runners in Manchesterâ€™s Half Marathon at the weekend. A special arrival outside James Sharp offices , The Flying Scotsman. 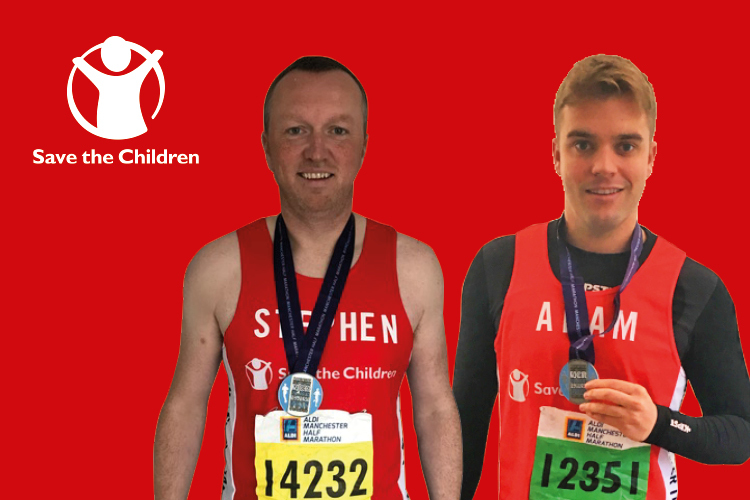 Investment Adviser Steve Ross and Trainee Stockbroker Adam Frankland are both taking part in the Manchester Half Marathon on Sunday 16th October in aid of Save The Children. 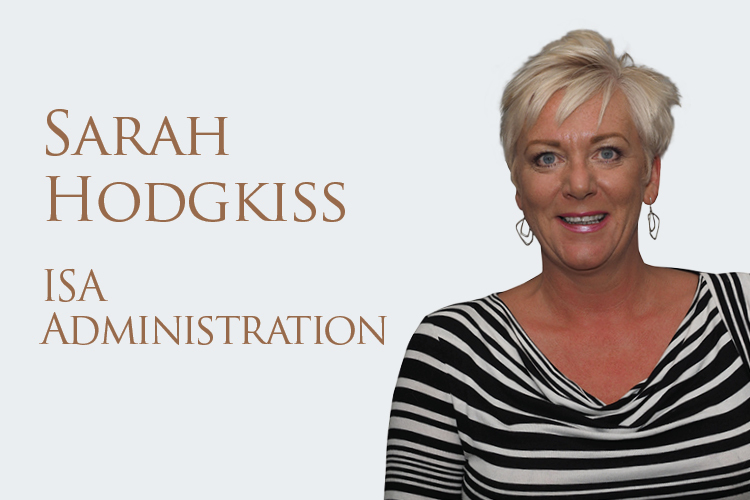 Get to know our ISA Administrator Sarah Hodgkiss in this edition of our Five Minutes With feature. 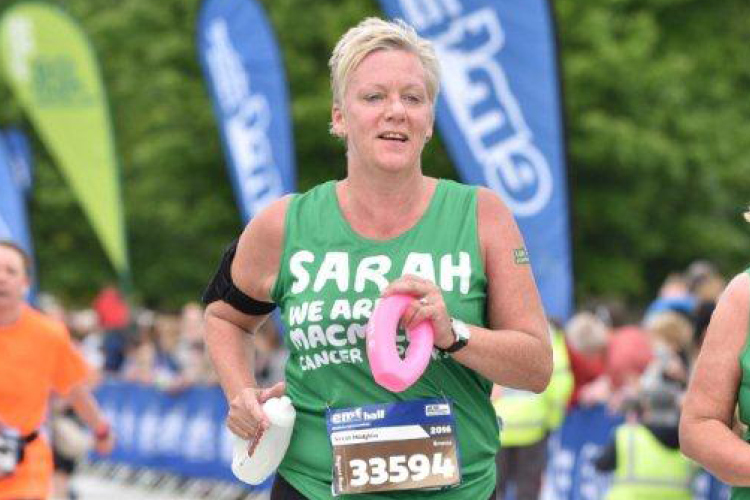 The team at James Sharp would like to congratulate the firmâ€™s ISA Administrator Sarah Hodgkiss, who has completed the Edinburgh Half Marathon in aid of Macmillan Cancer Support. 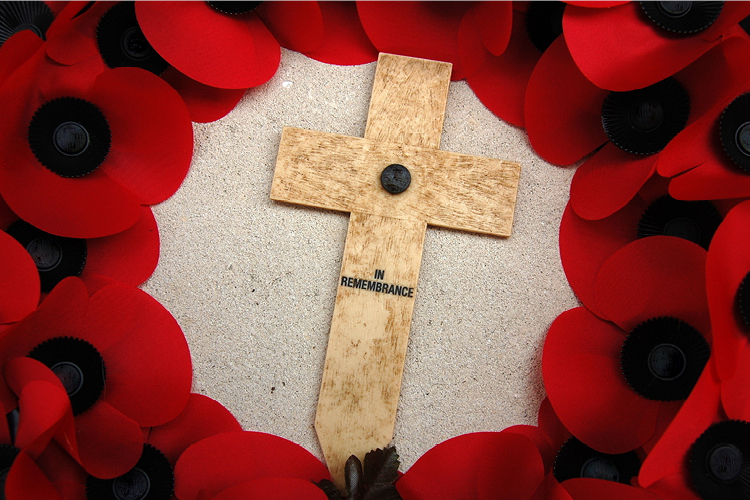 James Sharp & Co is proud to be sponsoring a new exhibition at The Fusilier Museum in Bury, which commemorates fallen heroes of the First World War. 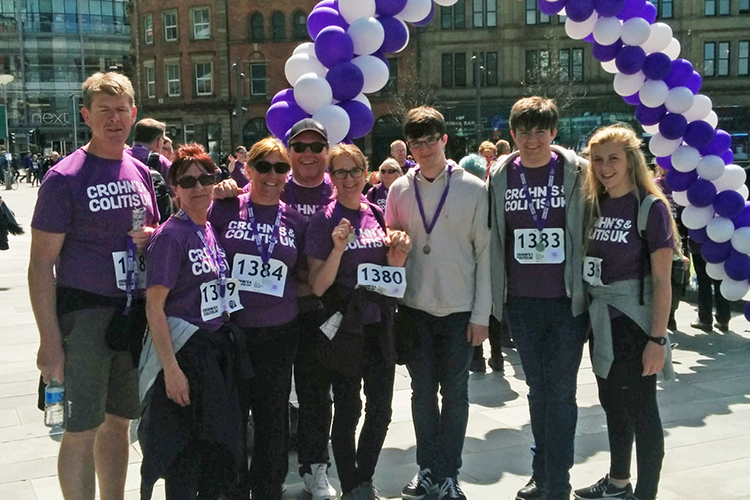 Angela Greenwood has taken part in WALK IT Manchester, the first Crohn's and Colitis UK event in the North West of England. 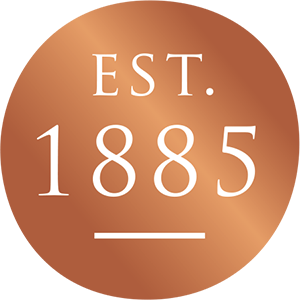 James Sharp & Co continued its support of Greenmount Cricket Club by sponsoring their Sportsmansâ€™ Dinner for the second year in a row. 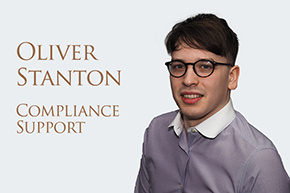 Oliver Stanton joined James Sharp's Compliance Support team in 2012 after studying linguistics at Lancaster University. He now supports the compliance team on statutory issues such as the anti-money laundering directives. He is currently studying towards chartered status with the Chartered Institute of Securities and Investments.